The walking tour will reveal the secrets of this legendary city, remain an unforgettable impression on you. 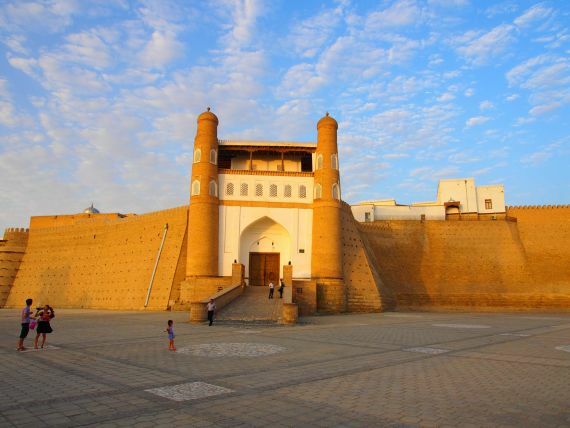 Then the tour leads you to Bukhara - "Pearl of the East". Every year, thousands of foreign visitors and tourists fall under the charms of this "oriental beauty". 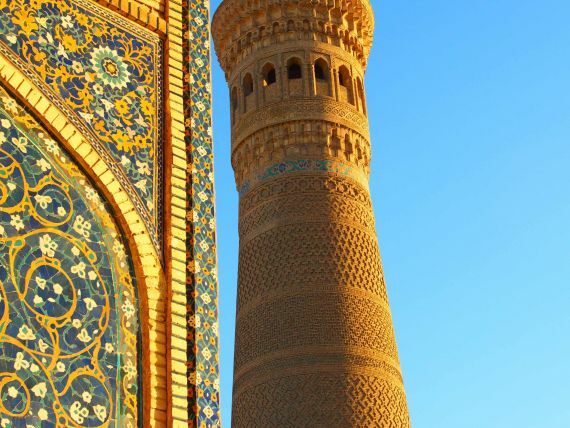 Ancient buildings, madrasas, mosques, minarets, blue domes, covered bazaars - these are the touches that blend effortlessly into a colorful picture of the modern appearance of the city of Bukhara. The route then will take us to Samarkand - one of the oldest cities in the world, the central point of the Silk Road between China and Europe. Being a center for a huge number of architectural monuments UNESCO put Samarkand to World Heritage List as a city-crossroad of cultures. The tour will end at its starting point - the city of Tashkent. Arrival to the capital of sunny Uzbekistan. Welcome dinner at a restaurant in the capital. •	State Museum of Applied Arts. The museum features unique exhibits that tell the history of the decorative arts of Uzbekistan. 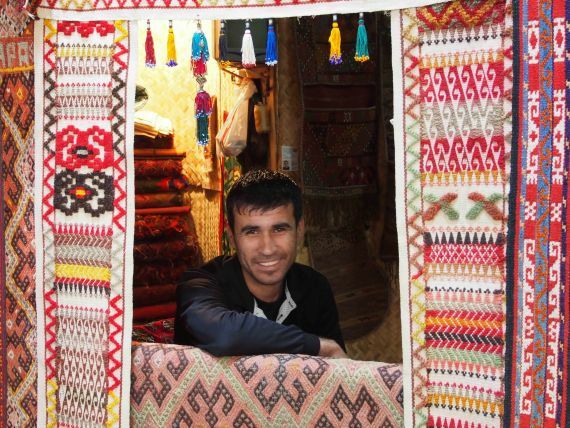 Among them there are the work of masters of wood carving and embossing, gold embroiderers and jewelers etc. Lunch at a local tea house. In the morning flight to Urgench. Transfer from Urgench to Khiva (35km). •	The famous Ichan-Qala (12-19 th century), an internal city of Khiva, which retained more than 50 memorials and ancient buildings. Morning departure from Khiva and a long road to Bukhara (470 km, 7 - 10 hours). A trip through the desert of red sand, which is also called the Kyzylkum, the 11th largest desert in the world. During the trip you can admire the Amu Darya River, as one third of the road runs parallel to the flow of this great river of Central Asia, also you’ll be able to communicate with the family of local shepherds, who have established their yurts (nomadic tents) near the road. 13:00 Lunch in a local tea house, along the route there are many local eateries (teahouse). 18:00 Arrival to the Pearl of the Orient - the city of Bukhara. 19:00 Dinner at a local restaurant or a private home. Evening leisure, walks in the evening around Bukhara. NOTE: If the flight Urgench-Bukhara will be available, transfer Khiva-Bukhara will be organized by plane. •	The ensemble of Kosh-madrasah, one of the most beautiful monuments, is located not far from the mausoleum of the Samani and Chashma-Ayub. •	The sightseeing program ends with a visit to Chor-Minor, which means "four minarets"
• House-Museum of Faizullah Khodjaev – first president of Bukhara Independent Republic (1921-1924), engineer of the water supply system, one of the founders of “Youth Bukharians” movement. The silence and solitude of these architectural ensembles slows down the algorithm of modern life and force to think about God. •	Short stop at the monument of the 11th century Rabat Malik. The word "Rabat" in Arabic means "castle" or "fortress". It was used to refer to the fortified settlements and recreation along the caravan routes. Unfortunately, up to now there are only the ruins of the entrance arch left. Arch called by locals "Bukhara Gate", "Gateway to the Desert" or "Gate to Nowhere". Stop in Gizhduvan for a visit of the famous family of potters and also review the Madrasah of Ulugbek. Arrival to Samarkand, check-in at the hotel. • Silk carpets factory "Hodjom"
• Koni Gil (10 km from Samarkand) - famous Samarkand paper mill, which launched production of silk paper with old technology in Samarkand. 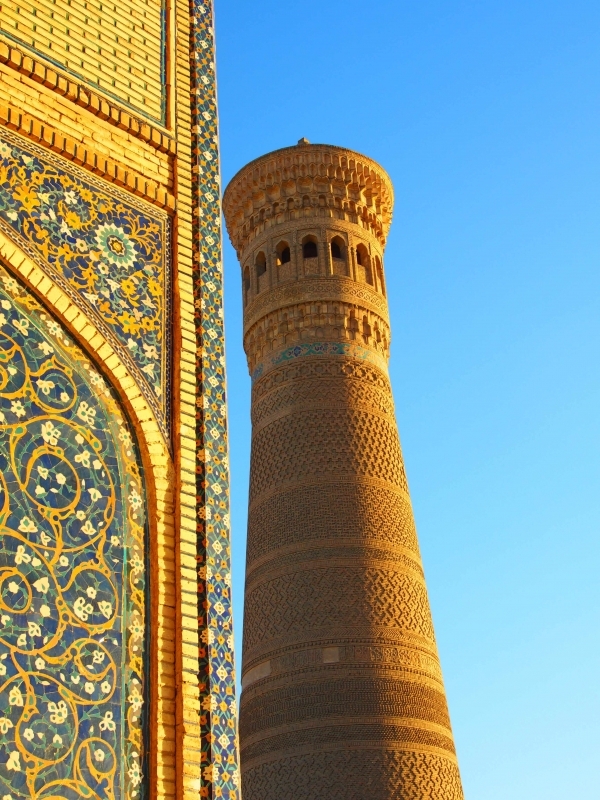 International Flights to / from Uzbekistan, Our Traveal Asistents can help you to chose one.